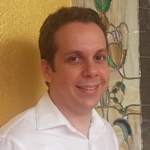 Dr. Jonathan Velázquez is an Associate Professor and Assessment Coordinator for the entire aviation program at the Inter American University of Puerto Rico. This means that Jonathan is responsible for creating and implementing an Assessment Plan for each aviation curriculum and ensuring education quality during teaching, student evaluation, and learning. Most recently, Jonathan led the aviation department's efforts towards achieving aviation (AABI) accreditation for the Professional Pilot Program; making his School the first Latin American aviation program to achieve such recognition. He continues to coordinate the assessment efforts of all aviation and campus programs at his University. As a full-time Professor he has had the opportunity to design, create, and teach a variety of aviation courses that include those for professional pilots, Flight Instruction, Human Factors, and Crew Resource Management courses, among others. Jonathan earned his Doctor of Philosophy degree in Aviation from Embry-Riddle Aeronautical University. He possesses a Master in Educational Arts degree in University Teaching from the Inter American University of Puerto Rico; Metropolitan Campus and a B.S. in Professional Pilot and another B.S. in Aviation Management, both from the Inter American University of Puerto Rico; Bayamon Campus. Jonathan is a Certified Flight Instructor (CFI, CFII, MEI), Airline Transport Pilot (ATP) Multiengine land instrument, and a Commercial Pilot with category ratings in airplane single engine land. Being formerly a Chief Instructor, he also assists the Chief Flight Instructor and/or Director of Flight Operations in training techniques, procedures and standardization. His past experience includes flying to the Caribbean and South America as a First Officer for a FedEx feeder.